Has it been your dream to break a Guinness World Record? Well, here is your chance to make history and do something good for Earth Day 2015! On Earth Day weekend, Saturday April 18, join 999 others who want to break the record for the greatest number of people all planting native bulbs simultaneously. The current record, established last year in the United Kingdom, is 850. Neighbors for a Livable West Linn (NLWL), hosting this event, have a goal of 1,000 people to break the standing record. This neighborhood group has been working hard to restore the White Oak Savanna overlooking the Willamette River west of the Willamette Falls. Bring your family, friends, neighbors, or anyone who wants to join in the fun of planting 1,100 blue camas bulbs donated by Metro for this project! In addition to the camas bulbs, 150 trillium will be available to plant. Activities will take place from 9 a.m. to 11 a.m. in the White Oak Savanna at 2425 Tannler Dr., West Linn. Participants should bring their garden trowels to help get the plants in the ground. 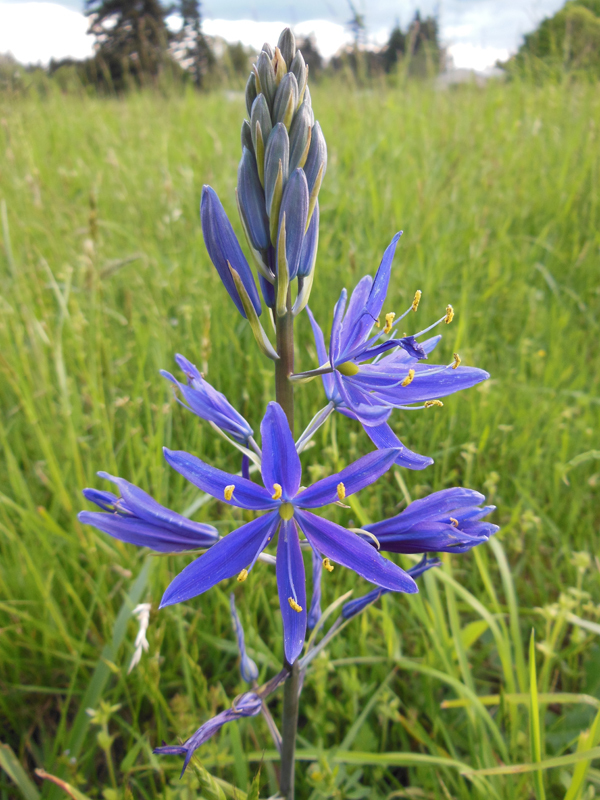 By next spring, the White Oak Savanna will be a sea of blue camas for everyone to enjoy! Be a part of the effort to restore this quickly vanishing ecosystem. The White Oak Savanna in West Linn is featured on the Oregon Public Broadcasting program Oregon Field Guide, April 2, 2015 at 8:30 p.m. Interested in the bigger picture? Willamette Valley oak savanna is key component of the Willamette Valley ecoregion.